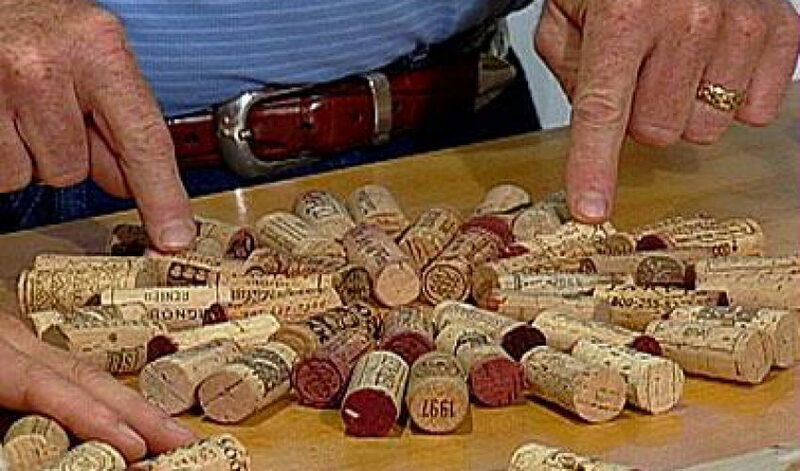 How many of us have opened a fabulous bottle of wine only to discard the cork when done. Thanks to my friend David I’m now inspired to collect them to make a Cork Trivet. This is a simple, fun project that is fast to do. Not that you will ever need an incentive to open a new bottle of wine — but it’s nice to know that when you do that cork can become something new again and in the event you should ever forget the name of that fabulous bottle of wine — simply look to your trivet for the answer. Drill hole through each end of 11 corks (approximately 3/8″ in from end). If there is a logo or design on cork you want to see, rotate cork å_ turn when you drill holes. Thread through one end of each of the 11 corks with holes at each end and tie with square or “granny” knot. Cut off ends.